So fall is here but it's still hot..... grossly hot but I still had to show this outfit. You can use it for fall or when winter does decide to show it's face. Or heck just wear it because you like it. The beauty of SL, it is forever the season you want it to be. Now besides some great clothes available for you, I do have a location that some of you might want to check out. I must say it is an Adult sim. So there is strong content. Great places for photos and well some interesting people to role play with. There will be more about that down below. So read on! New look different song but from the same movie! This isn't the look I was going for this song but I can't get this song out of my head. Even felt the need to go blonde for it. So don't tell me what to do and don't tell me what to say. BOY YOU DON'T OWN ME! Facepalm's outfit includes mesh top, applier jeans and resizable boots. I was able to slip on these boots and keep my slink feet on but some of you might need to do a bit of adjusting or simply detach your feet. The jacket has a color hud with 11 colors on it. The colors are on the darker side so don't be expecting any pastels. The texture on the jacket, love it. The jeans are applier based and can be applied on Maitreya, Slink or Omega. IKON just wanted to make a quick mention of these eyes. Though IKON is not my sponsor I can say that I rather enjoyed these eyes. Probably to the point that I will buy additional colors. Let's just say this is a very honorable mention to them. ZOZ's polish isn't link because at the moment it is not available it was part of the Cosmopolitan event. Give it a few weeks and most likely you can pick up her polish at the store but please be aware that it is not available at the store as of yet. Until next time my lovelies happy shoppings and please do read on if you would like to learn more about Unity Role Play Sim read on more photos below! So what was my experience at Unity? Well you all know I don't blog clothes unless I personally could see myself wearing them. The same goes about a location. Honesty is the best policy. I ran into two citizens of the town and of course I figured I would check the level of role play going on the sim. 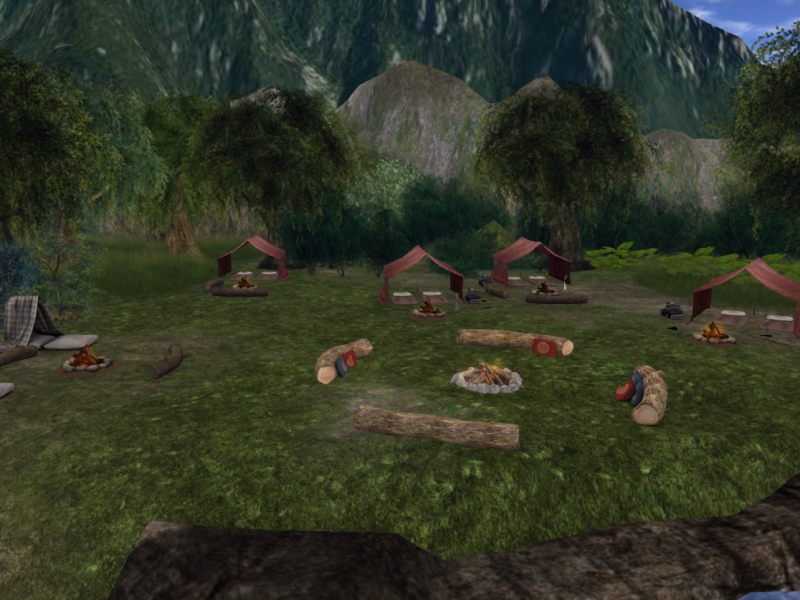 I've been in SL a long time so I am very familiar with role play styles and levels. In Unity I did experience two types of RP style. Paragraphs as well as single liners. Both individuals were a pleasant experience. Each individual expressing themselves well. One of them I approached and the second one happened to approach me. The town consists of 2 sims which have literally a little bit of everything. SO if you aren't the bar type of gal or guy no worries we can take you to church. - laughs a bit - I will probably be doing a few more additional photos shoots there so perhaps I'll run into you there. Yes yes if you catch me there feel free to role play with me. The areas I did explore looked to be well put together and well balanced. There were minor details in my opinion needed adjusting but nothing that would take away from the role play. There are still a few places I didn't get to check out personally but as I said I will be going back for a few more visits. More links below with information about Unity as well as some words from the owner. Until next time lovelies. Greetings fellow Role Players of Second Life! Welcome to the Unity website! We thank you for your interest in our humble little town and encourage you to read on. While discussing likes and dislikes, preferences and...yes...fetishes (gasp...oh my! ), I discovered a commonality in what was perceived to be the 'ideal' role play sim. As the owner of Unity, I feel that the RP should be focused on "the story" and the foundation for that story is rooted in reality. The city of Unity is a small, rural setting full of everyday life. The joys and disappointments shared through a mutual story line adds rich color, depth and flavor. One thing that was felt to permeate urban role play sims available is the "numbness" or apathy in regards to violence in role play.